Positioned above the Passat, the Arteon will serve as VW's flagship model in Europe. The old Passat CC / CC was without any shadow of a doubt one of the most exciting models in Volkswagen’s range, so it was a sad day when the folks from Wolfsburg announced the sedan’s termination. The good news is a worthy successor is ready to grace the Geneva Motor Show floor with a bold exterior design and all the interior luxury VW can offer right now. If the design seems familiar, it’s because the Arteon was previewed at the same Swiss auto expo in 2015 by the Sport Coupe Concept GTE. Putting the two cars side by side reveals the road-going model hasn’t lost it pizzazz on its way to the assembly line. In the range-topping R-Line specification below, the similarities between the two are striking. 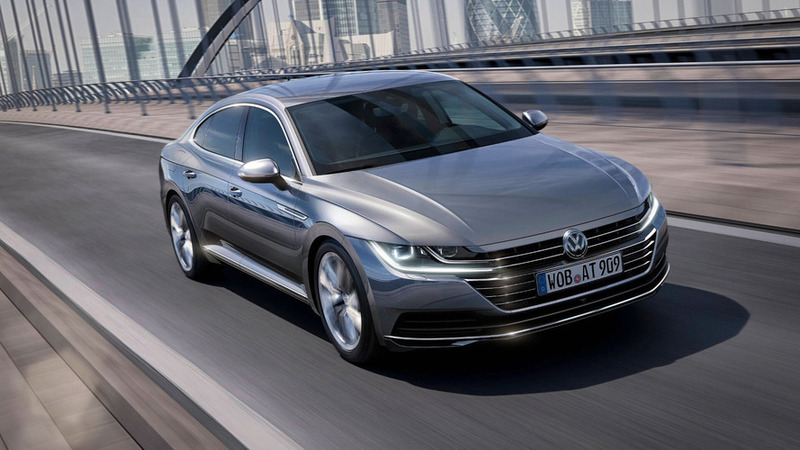 The Arteon heralds a new design approach for Volkswagen with an interesting front fascia where the radiator grille meets the headlights, in this case a standard full-LED arrangement. Even though VW called the CC a “four-door coupe,” the car was at the end of the day a sedan with a swoopy roofline. Things are different now with the new arrival as it adopts a more practical fastback body style with a large rear hatch in the same vein as the concept. The body style change is going to make the Arteon easier to live with on a daily basis since maneuvering cargo in and out of the trunk will be a breeze. With the rear seats in place, the car will be able to swallow up to 19.9 cubic feet (563 liters) of your luggage, while folding them will boost capacity to 55 cubic feet (1,557 liters). Should you need an even bigger trunk, VW has already admitted it might do a wagon version at some point in the future. Sharing many bits and pieces with the Euro-spec Passat including the MQB platform, the new flagship in Europe for VW is about 3.7 inches (9.4 centimeters) longer, 1.6 inches (four cm) wider, and sits 1.1 inches (2.8 cm) lower than the more humble sedan. Unsurprisingly, the wheelbase has been stretched by two inches (five cm) to free up more legroom for passengers sitting in the back, and VW says the Arteon can accommodate up to five people in utmost comfort. The cabin clearly shows its Passat roots and in the base version it will have cruise control, six-way power adjustable front seats, leather steering wheel, stainless steel door kick plates, and the Composition Media infotainment system with eight speakers. The midrange model will add heated front seats, Alcantara / leather seating surfaces, aluminum-look pedal covers, and contrast stitching. The aforementioned R-Line flagship will adopt a sportier interior with a bespoke steering wheel, a different headliner, and other extra tweaks. Optional goodies include the all-digital instrument cluster, a head-up display, and the 9.2-inch infotainment system with an elegant glass design and support for gesture controls. On the safety side, the Arteon will use VW’s latest version of the adaptive cruise control system, which will also take into account route information and speed limits. In addition, the new version of the company’s cornering light system boasts predictive beam control and can light up a bend detected by the GPS before the driver turns into it. Moreover, the second-gen Emergency Assist will slow the car down and automatically steer it into the nearside line if the driver becomes incapacitated. Depending on market, VW is going to sell the Arteon with three gasoline and three diesel engines. Debuting in the Golf facelift, the group’s new 1.5 TSI Evo with 148 horsepower (110 kilowatts) will perform its duties in the front-wheel-drive-only base model where it will be hooked up to a standard-six speed manual or an optional seven-speed DSG. Up next will be the stronger 2.0 TSI in 188 hp (140 kW) and 276 hp (206 kW) flavors, with both linked to the auto ‘box. The former has a FWD layout whereas the beefier version comes with a grippy 4Motion AWD setup. If you would rather have a thrifty diesel, the 2.0 TDI is going to be available with 148 hp (110 kW), 188 hp (140 kW), and 236 hp (176 kW) outputs. The first one can be had with one of the two gearboxes sending power exclusively to the front axle, while the midrange version can be optionally configured with 4Motion. 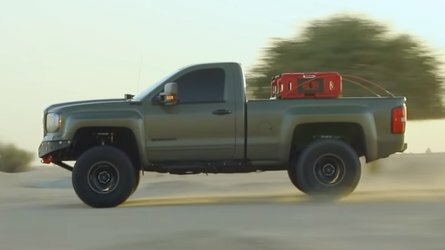 In the case of the torquetastic biturbodiesel model with 369 pound-feet (500 Newton-meters) on tap, it comes strictly with an automatic transmission and AWD. 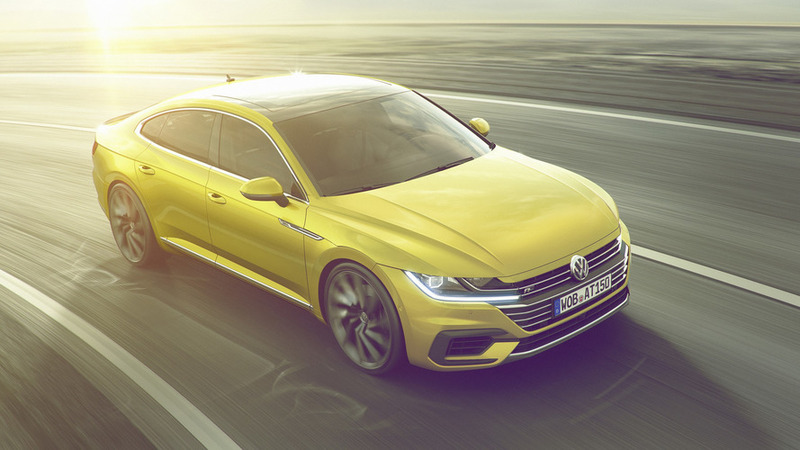 The VW Arteon will celebrate its world premiere this week at the Geneva Motor Show and will go on sale in Germany in mid-June once production will kick off at the Emden plant. In 2018, the CC’s successor is going to be launched in United States as well. World premiere in Geneva. 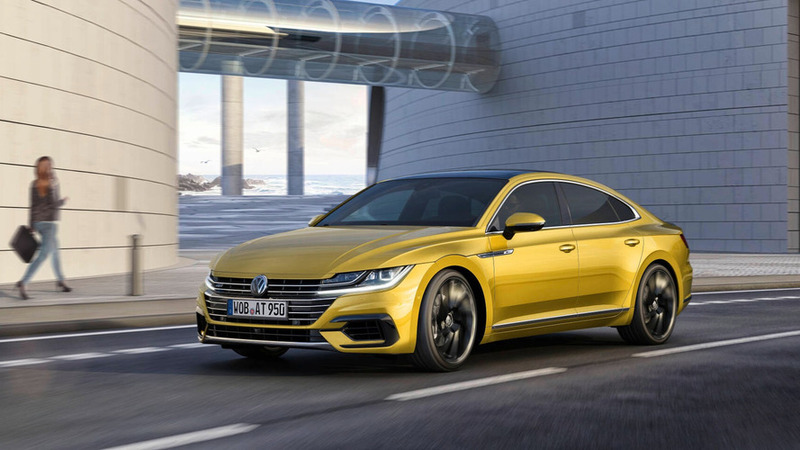 Volkswagen is expanding its model range with the debut of an avant-garde gran turismo: the new Arteon. Positioned above the Passat, the premium class Arteon is being revealed to a global audience for the first time at the Geneva International Motor Show (9 to 19 March). 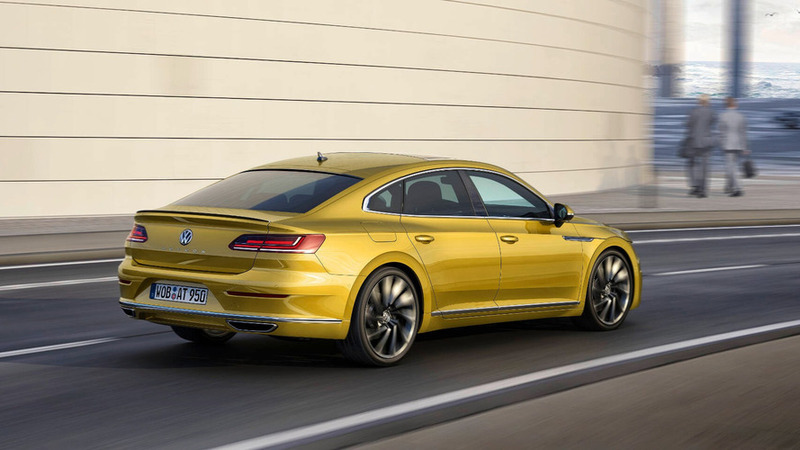 Klaus Bischoff, Volkswagen Head of Design: "The Arteon combines the design elements of a classic sports car with the elegance and space of a fastback. An avant-garde business-class gran turismo, it speaks to the heart and the head alike." 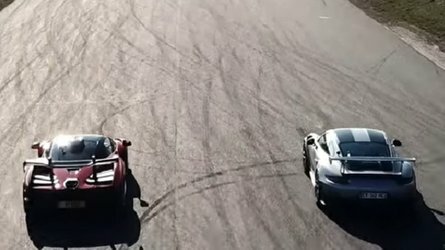 Gran Turismo. Tobias Sühlmann, responsible for the Arteon's exterior design, explains: "The athletic lines of the Arteon embody a highly functional overall concept. Form and function find common ground here in a progressive way. In contrast to classic saloons, the gran turismo offers more space and flexibility thanks to its long wheelbase, coupé-like fastback design and large rear hatch." The five-seat Arteon is an ideal avant-garde alternative – a car for people who want a five-door fastback with an accomplished, elegant design and progressive technology. Perfect proportions. 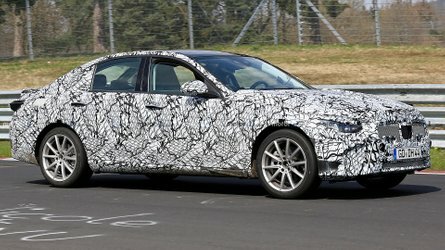 The new Arteon is based on the Modular Transverse Matrix (MQB). Transverse stands here for engines that are transversely mounted in the front. This configuration naturally creates space. A long wheelbase of 2,841 mm spans the two axes. Accordingly, the body overhangs of the 4,862 mm long fastback model are short and concise. 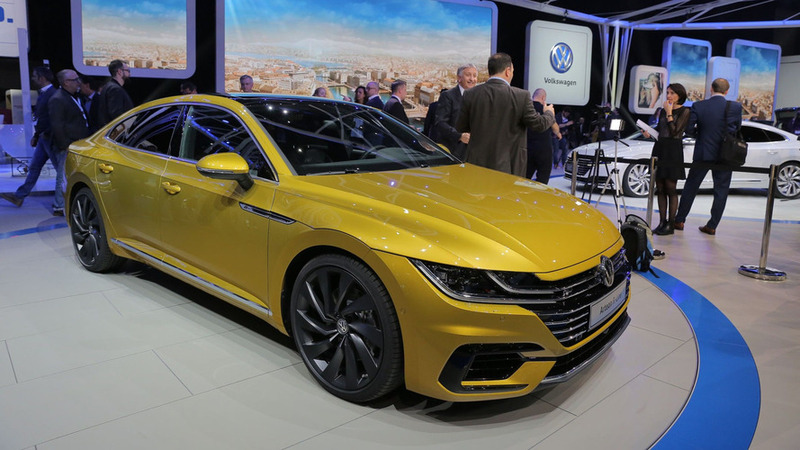 The Arteon is 1,871 mm wide and 1,427 mm tall. These dimensional relationships deliver truly dynamic proportions – a visual starting point for Volkswagen designers. Charismatic Arteon breathes dynamism. One of the most important design elements of the charismatic new Arteon is the front section. Stand-out features include a bonnet that extends a long way forward and partially over both wings and a radiator grille that encompasses the vehicle's full width. The LED headlights and daytime running lights, fitted as standard, combine with the chrome-plated cross-bars of the radiator grille and bonnet. The result is a front-end design that would be a match even for a high-calibre sports car. Pure sporting doctrine. Designed in the style of a sports car are the striking and powerful shoulder sections at the rear, the muscular wings and the flared wheel arches above the up-to-20-inch alloy wheels. Seen in silhouette between the axles is a waistline that also follows a pure sports car design doctrine. Passat, Arteon, Phideon. The Arteon takes its place in the Volkswagen model range above the Passat in all of the various Passat versions sold around the globe. Following one level up from the Arteon comes the Phideon that has been specially developed for China. The new Volkswagen gran turismo is being produced at the German plant in Emden. 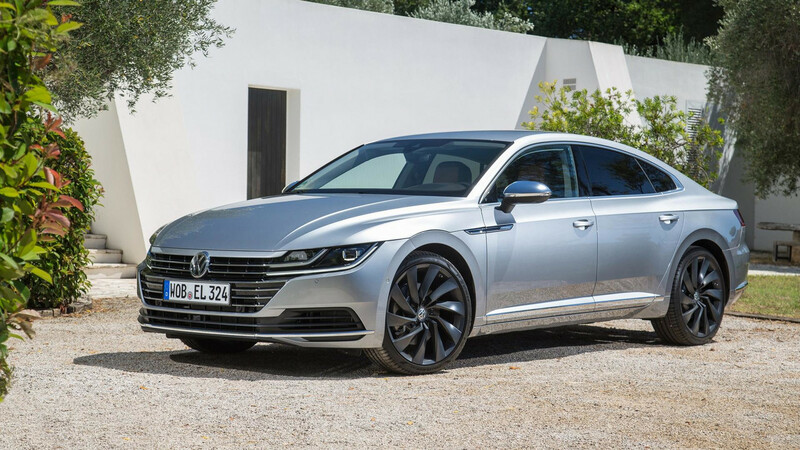 It is a site with an adjoining sea port – perfectly suited to a car like the Arteon that will be launched in practically every country in the world that is relevant to this vehicle class. 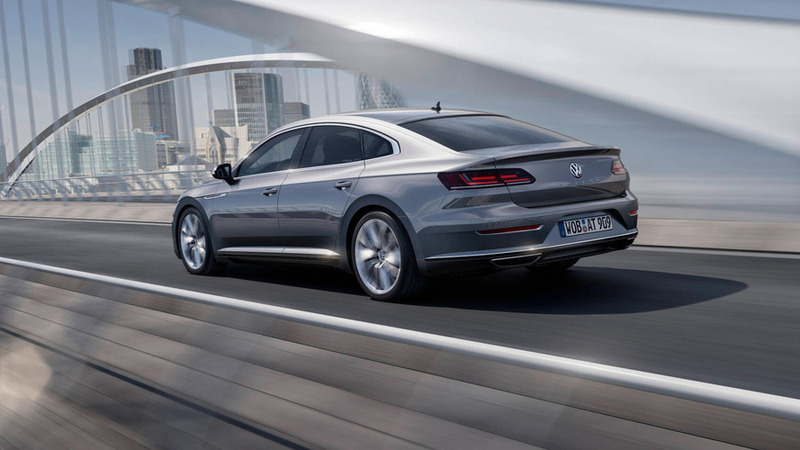 The car launches in mid-June in the German market, with advance orders being taken in the first few European countries starting immediately after the Arteon's world premiere in Geneva. Innovative, economical and perfectly suited to everyday use. The Arteon is reinterpreting the 'gran turismo' concept with its combination of avant-garde design, sporty charisma, great flexibility and generous space. 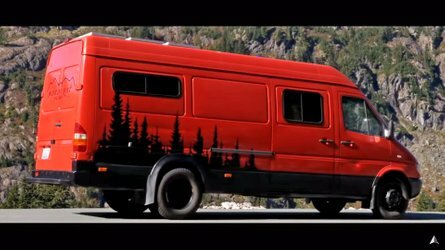 Further aspects that would be considered plus points in any vehicle class include excellent rear legroom and luggage space of 563 to 1,557 litres. On the technical front, the new Volkswagen impresses with six highly efficient engines (power output range from *110 kW / 150 PS to 1206 kW / 280 PS), front-wheel or all-wheel drive, plus digitalised displays and controls. Further features include an Active Info Display (fully digital and programmable instruments), a head-up display and the new Discover Pro infotainment system with a 9.2-inch glass screen and gesture control. Interactive assistance systems look ahead. The Arteon's innovative driver assistance and convenience systems match its avant-garde concept. Three of its new technologies illustrate this. The latest generation of Adaptive Cruise Control (ACC) now takes into account data such as speed limits and route information and automatically adjusts driving speed accordingly. Thanks to the navigation system's GPS and road data, the new dynamic cornering lights with predictive beam control anticipate when a bend is approaching and illuminate it before the driver actively turns into the bend. The second generation of Emergency Assist offers more safety: if the driver becomes incapacitated for health reasons, the system not only slows the car down within system limits, but now also steers it into the slow lane, traffic behind permitting. Three lines facilitate a high degree of personalisation. Despite its progressive concept, the Arteon is a car available at an attractive price. Along with the high-quality base version, the gran turismo will be available in two exclusive equipment lines: the 'Elegance' and 'R-Line'. The name says it all. The standard configuration of the Arteon Elegance is focused primarily on premium class equipment and style. The Arteon R-Line, meanwhile, puts sportiness even more at the heart of the vehicle's configuration – as is typical of all Volkswagen R-Line models. Based on the different orientations of these three equipment lines, the fastback model can be personalised extensively. 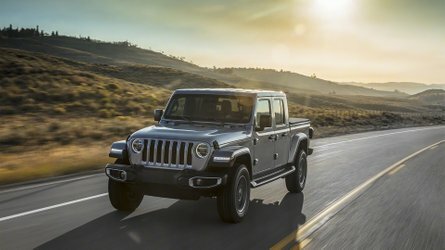 The range of optional equipment includes features such as a panoramic tilt/slide sunroof, three-zone automatic air conditioning (Air Care Climatronic including air quality sensor and allergen filter), massage seats in front, heated steering wheel and two-tone nappa leather interior. The six engines deliver between *150 and 1280 PS. The new Arteon is launching with a range of six turbocharged direct fuel injection engines. All of the engines have four cylinders. The first two power levels of the petrol (TSI) and diesel (TDI) engines are identical at *110 kW / 150 PS and *140 kW / 190 PS. The most powerful TSI delivers 1206 kW / 280 PS, while the most powerful TDI produces 2176 kW / 240 PS. The base petrol engine, the *1.5 TSI Evo, is a new design and, thanks to such features as Active Cylinder Management (ACT), it is exceptionally efficient. Dual clutch gearbox for all versions. Any of the engines may be combined with an automated dual clutch gearbox (DSG; except the *110 kW TSI in Germany that is only available with a manual gearbox). For the TSI engines, DSG is standard for the *140 kW engine and above. In the case of the TDI, DSG is fitted as standard in the 2176 kW version. The most powerful TSI and TDI engines also have 4MOTION all-wheel drive as standard, while this is available as an option for the *140-kW TDI. All other models have front-wheel drive.